Every year, more than 6 million people are involved in a motor vehicle accident. An auto accident does not have to be severe to produce disabling symptoms. 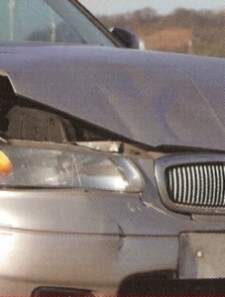 Many injuries occur during low speed collisions in which there is little or no visible damage to the vehicle. The team of physicians at Evergreen Pain Management and Rehabilitation Center has more than 35 years of experience in treating patients with injuries from motor vehicle accidents. Our highly trained physicians have taken post-graduate classes through the Spine Research Institue of San Diego, which specializes in the diagnosis and treatment of motor vehicle accident related injuries. Contact Evergreen Pain Management and Rehabilitation Center for a thorough assessment of your motor vehicle accident related injuries. Most health and auto insurances are accepted. Evergreen Pain Management and Rehabilitation Center also accepts liens from the at fault parties' insurance company if no health or auto insurance is available to ensure timely care. Delay in necessary treatment is often the difference between a full and complete recovery or a lifetime of pain.